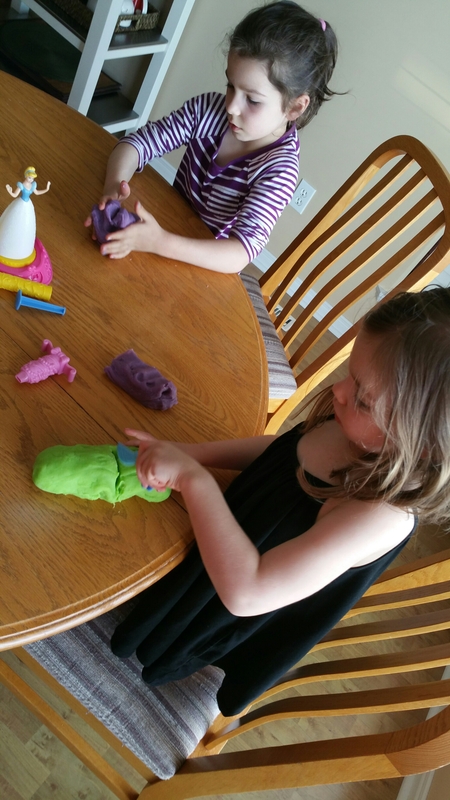 It started with last week when Ava wanted to use the play-doh but, it was all dried up and crumbly. I don’t find that stuff lasts very long at all. We had only just opened 6 different colors about 2 weeks before. 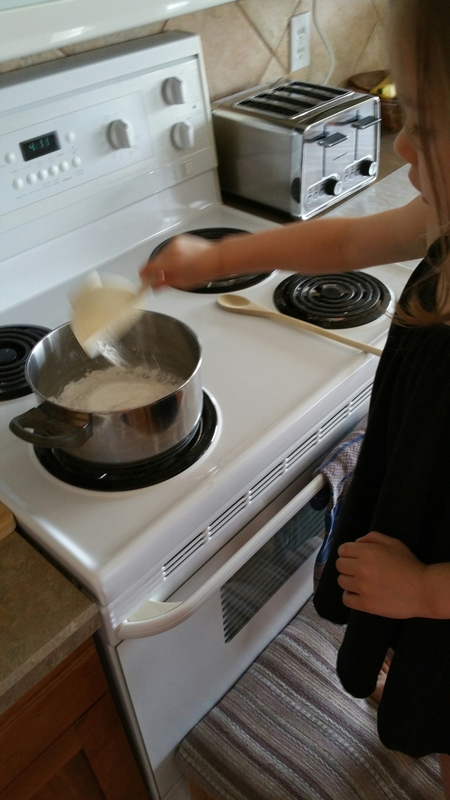 She was very disappointed, so I told her we would have to just make some! 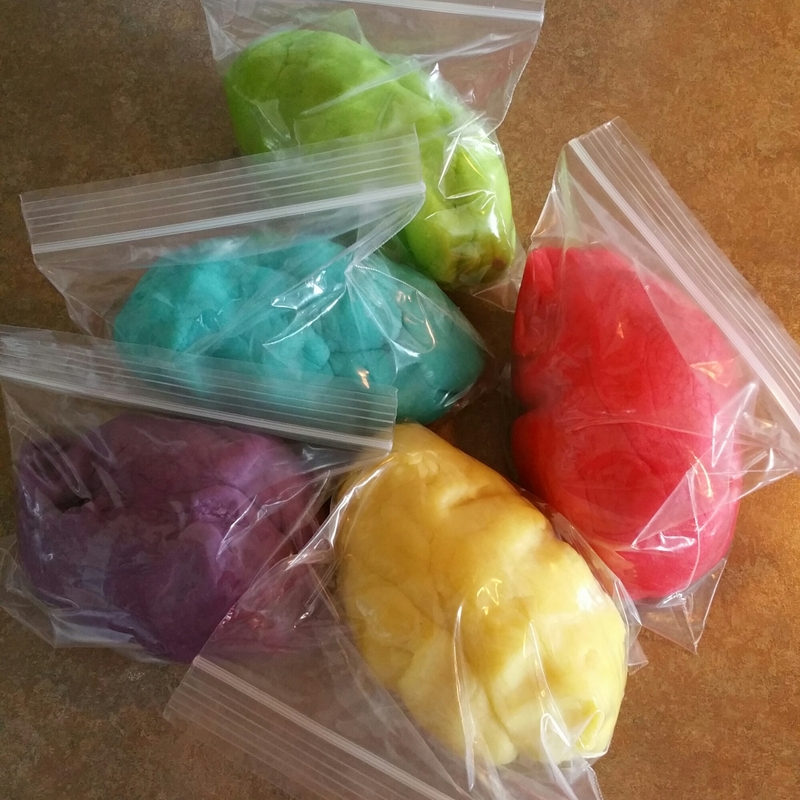 I’ve experimented with making different play dough recipes before, but none where the colors were very vibrant. 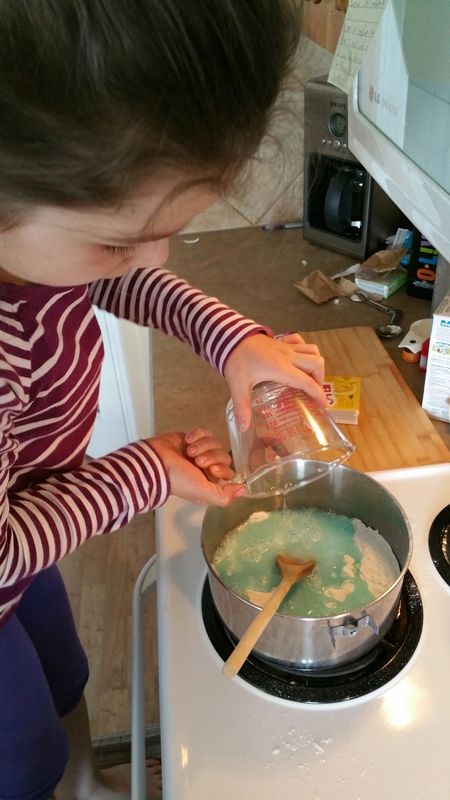 On Pinterest, I came across some recipes that used Jello powder to make play dough, so we went that route. 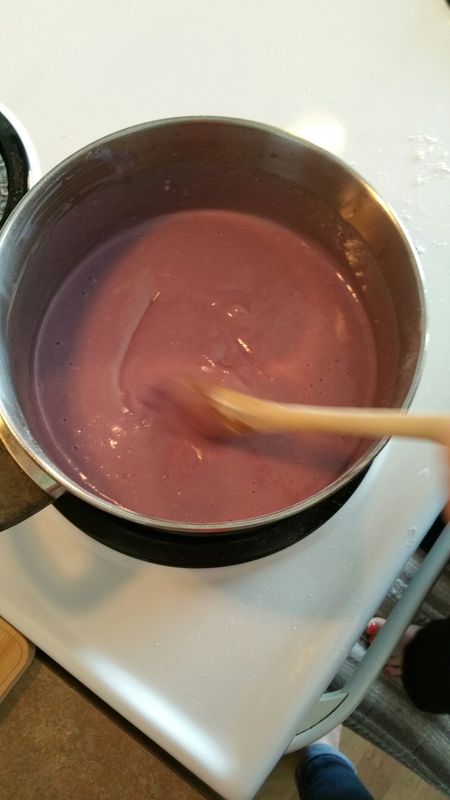 We began by mixing 1 cup of flour, the jelly powder mix (any color), 1/4 cup salt, 1 Tbsp cream of tartar in a small saucepan. Turn on to medium-low and pour in 1 cup of water and 2 Tbsp of olive oil. 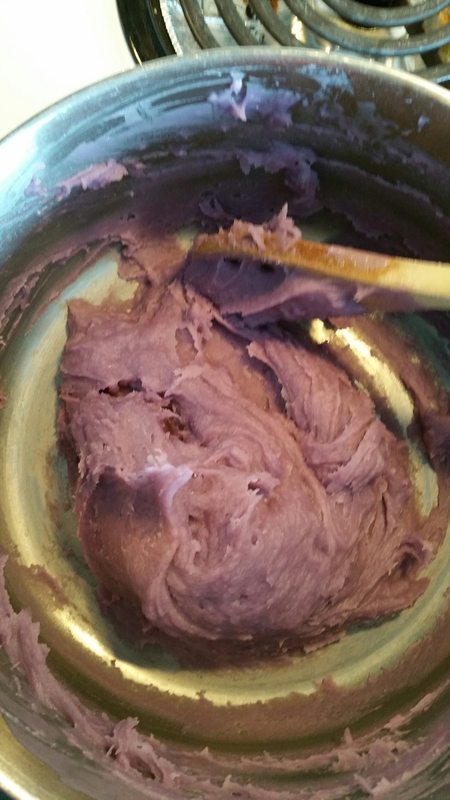 We used grape flavour for the first batch and the bonus was that this stuff smells AMAZING. keep stirring constantly to smooth the dough mixture and after about 3 minutes it will start to get really lumpy and should start pulling away from the sides of the pan. Then you know it’s time for it to come out and knead a few times. 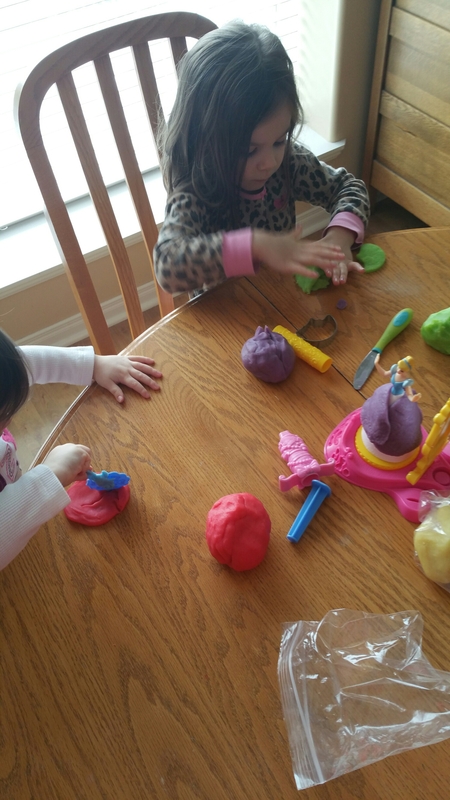 I don’t know who was more excited to make the play dough more – the kids or me. 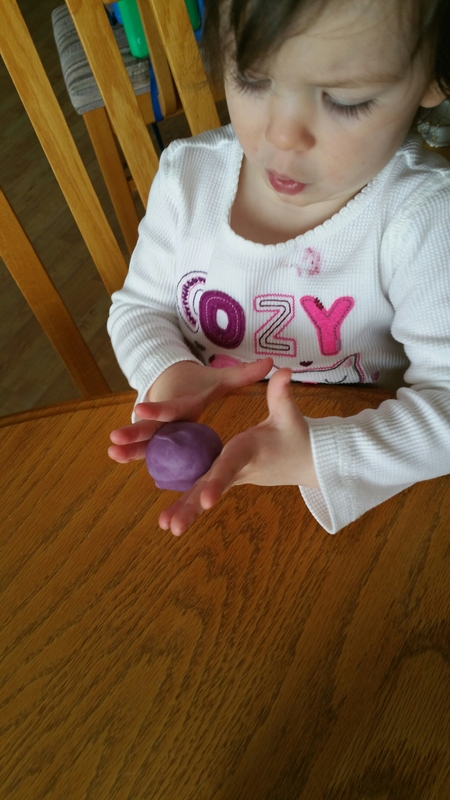 Sophia decided she wanted to help too, so she picked berry blue. I was a little worried at first that the dough would be sticky to play with because of the sugar content, but it wasn’t sticky at all. 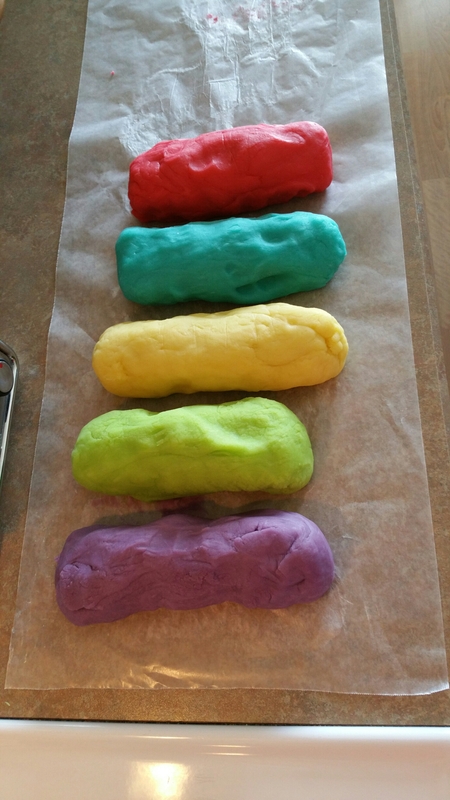 After, I removed the play dough from the pan, I kneaded each color a few times and let them cool completely on wax paper. They were so excited, they couldn’t wait for it to cool, so they started working with it right away. I found that because it was still a bit warm, it was crumbling a bit, but we tried again this morning and it was perfect to play with. Even Tessa got in there to play! 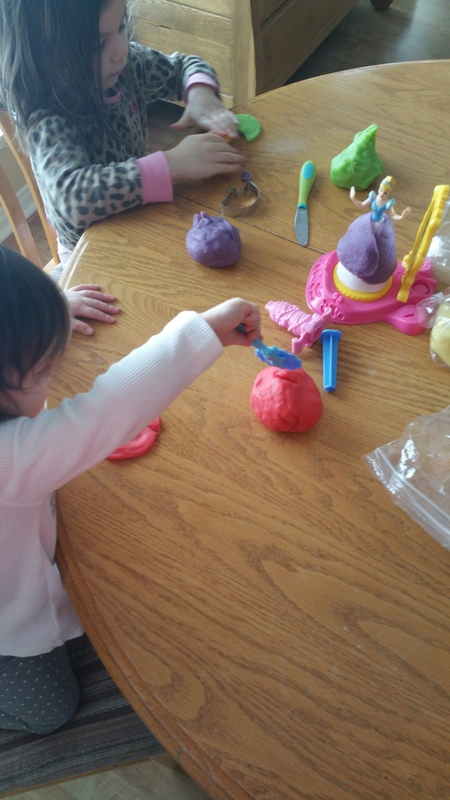 JELL-O Play Dough making was a huge hit and smells so good, you almost want to eat it! Tessa actually tried at first 😜. 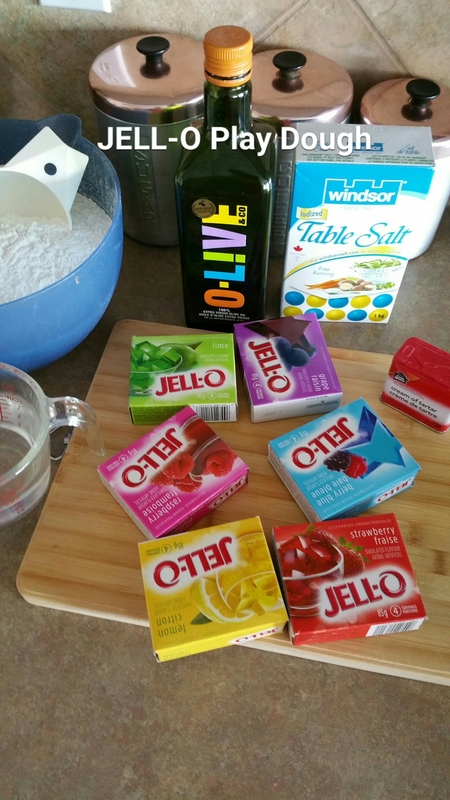 This recipe made a huge batch, I was able to divide each color in half and store for later on.